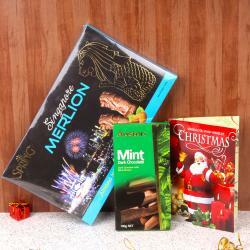 Product Consist : Pack of Christmas Decoratives and Rosscco Coolmint Chocolate Box (Weight : 130 Gms) and Aston Fruits and Nuts (Weight : 100 Gms). Exotic hamper of chocolates that is all set to pamper your loved ones with warmth of your love and by this best christmas gift. This hamper includes mouth watering imported exotic chocolates like Rosscco Coolmint Chocolate Box along with Aston Fruits and Nuts Chocolate. 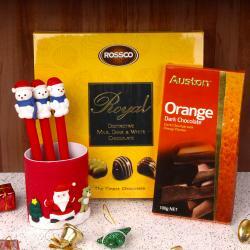 This Chocolate team up with lovely christmas wreath which convey your Merry Christmas Wishes. This hamper is completely arranged for pure christmas gifting solution. So, Hurry up and order your gift now and give reason to celebrate christmas with more joyfulness. 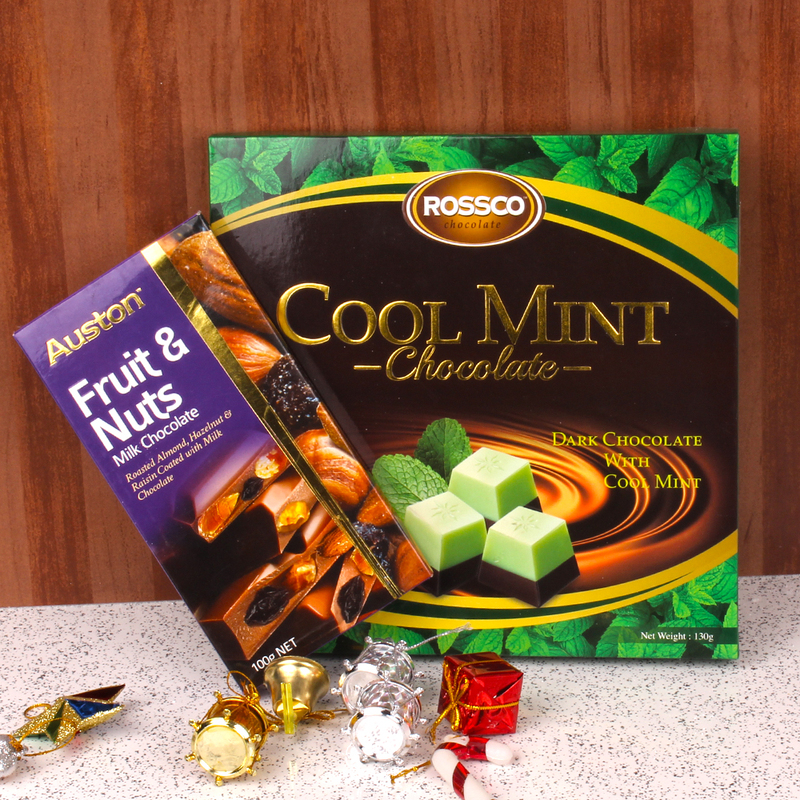 Product Consist : Pack of Christmas Decoratives and Rosscco Coolmint Chocolate Box (Weight : 130 Gms) and Aston Fruits and Nuts (Weight : 100 Gms).